Click on the "Whats New" tab above to see the newest pictures and updates! Welcome to the Graham's web page! Please feel free to leave us messages, contact us, etc. You can apply to join this group if you like. Come back and visit periodically, we do try and keep this updated. Keep in touch by adding comments at the bottom! With thanks to Hashem (G-d), on 10th Tishrei 5773, Yom Kippur, Wednesday September 26th 2012, Rachel Graham was born! She is of course adorable, and cute just like her 5 brothers and sisters. She was 7 lb 12.6 oz and was born at 6:36 pm Eastern Daylight Time during Neilah services, we had to drive to the hospital (which is allowed on holidays in cases like this). She was named the next day at Chabad of Silver Spring during morning prayers. She is named after Rachel in the Torah, who is mentioned in a Rosh Hashana Haphtara. Photo is in the Photos section of this site. With thanks to Hashem (G-d), on 4th Nissan 5768, Wednesday April 9th, Baby Boy Graham Release 5768 was born! He is adorable of course, 7 lb 9 oz, 20.75 inches long, and was born at 2:31 am. The Bris was on Wednesday April 16th (11th Nissan) at 7:15am at SEHC, 10900 Lockwood Drive, Silver Spring, MD, 20901. Baby Graham Release 5768 is now named Yoseph after his great great grandfather. On 8th Kislev, 5768, Sunday November 18th '07, We held a big 3rd birthday party for Naphtali Tzvi, and cut his hair for the first time. 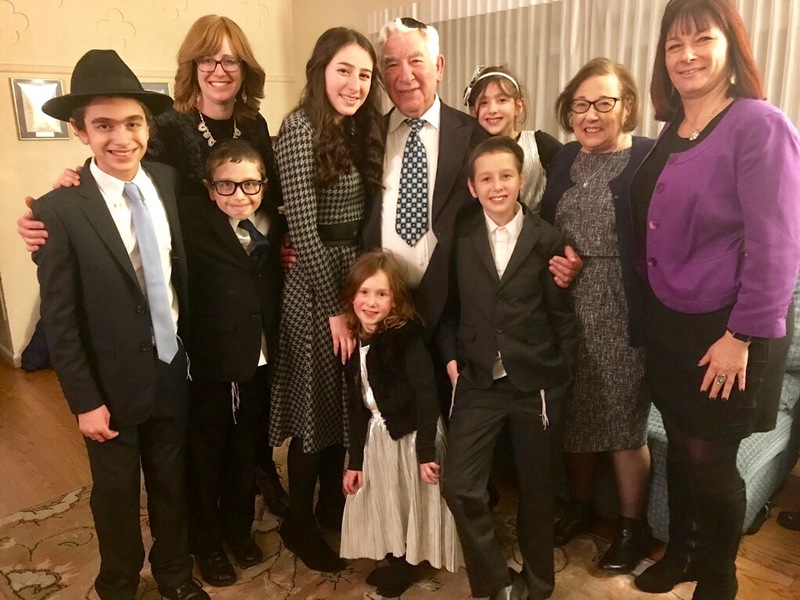 Many friends and family from near and far joined us in our home in Silver Spring, MD, and we were honored to have some of our rabbis present as well. Naphtali Tzvi's hair was, in a ponytail and braided, just 10 inches long, so we were able to donate it to an Israeli cancer society which makes wigs for children from hair donations. Little brother Avraham looked on with bewilderment, and we're sure he's wondering what we have in store for his 3rd birthday, in July '09. Big sister Shira Leah didn't even ask why we didn't make her a big party like this, but then again she didn't get a yarmulke (kippah) after getting her first haircut either. Hope to share future happy occasions! As you can see from the photos, Avraham continues in the family tradition of being a very smiley baby! Take a look! The Bris took place Monday July 17th 2006/Tammuz 21st 5766 at the South East Hebrew Congregation, 10900 Lockwood Drive, Silver Spring, MD, 20901. This is Rabbi Winter's Shul in White Oak. It is customary not to invite anyone to a Bris but anyone can attend without an invitation. Appropriate dress for a Bris would be smart casual. According to traditional Jewish custom, women should not wear pants (trousers) and should cover their necklines, arms above elbows and legs above the knee. Men should not wear shorts and should wear a head covering (yarmulke, kippa, kuppel or hat). Married women should also wear a hat if they don't usually cover their hair. This took place at our home on Friday evening at 9:30pm. It is not customary for people to travel long distances to this, so we imagine that only people that live or are staying nearby will attend, especially since Jews are not supposed to drive on the Sabbath. The Graham Family is pleased to announce the latest addition to the family. Baby Graham 3, a boy, was born this morning, Tammuz 14 5766 (July 10 2006) at 10:22 am, weighing 7lb 0.6oz. Imma (Hebrew for Mummy or Mommy depending on where you live!) and Baby are doing well, in HC Hospital in Silver Spring, MD, USA, which is where the baby was born. Abba (Daddy) - is doing well too! Details of the bris will follow, as will pictures and more news, at this web site - please check here for more details as they emerge. In keeping with Jewish tradition, the name will be announced (and possibly decided) at the Bris! At 2:30pm Eastern Standard Time on Sunday 15th Kislev 5765, November 28th 2004, the Bris took place as planned, and our baby was given the name Naphtali Tzvi. He was named after his great-great-great-great grandfather, Naphtali Hirsh Kuczynski of Kutno, Poland ("Hirsh" is Yiddush for the Hebrew "Tzvi"). He was a talmid chocham, a Torah scholar, and at least one son was a student of Rabbi Yisrael Yehoshua Trunk of Kutno, author of "Yehoshuat Yisrael" - "Salvation of Israel". Mazal Tov! Baby Boy Graham was born Sunday 8th Kislev 5765, November 21st 2004, in Silver Spring, MD - at 6:07 Eastern Standard Time. He is 6 lb 11oz. Look at the pictures!!! As with Shira Leah when she was born, he is gorgeous and healthy, thank G-d, as is his mother. According to Jewish custom, Baby Boy Graham will not be named until the Bris, which will be, IY"H (G-d willing), this Sunday November 28th at South-East Hebrew Congregation (White Oak), 10900 Lockwood Drive; Silver Spring, MD 20901, at 2:30pm. If you are planning on coming, please check this website before leaving for updates, although we hope there won't be any changes. It is not the custom to invite people to a Bris, but you don't need an invitation to come! Smart casual or better is encouraged. For men, you can't go wrong in a suit, or at least a jacket with smart pants. For women, no pants and arms should be covered above the elbow, legs covered to at least just below the knee (including when sitting). Married women should wear a hat if possible. Of course nobody will stop you from entering however you look, we just want to make sure that everyone feels comfortable once there. So why did we name our baby girl Shira Leah? She's not named after any relative. By the way, we always use both names, Shira Leah - not Shira. We wanted to give thanks. G-d has been very kind to us. 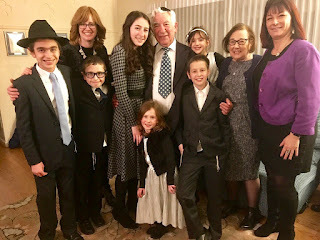 We were married only 13 months before the birth of our child, and we have been very grateful to G-d for allowing us to find our basherts, our destined partners, so "early" in life, when we can really appreciate all the blessings we've been given thus far. We were so excited that our firstborn was born on Shabbat, the Sabbath, and we wanted to truly sing G-d's praises, as we do on Shabbat. In our prayers the rest of the week we make many requests of G-d. But on Shabbat, we only sing His praises. As our child was born, on Shabbat, healthy, perfectly formed, and mother and baby were both healthy, we realized our requests of G-d were granted. So as we say in Tehillim (Psalm) Pay-Tet () 5 ) (or 89:2-3): Chasdei HaShem Olam Ashira – Of G-d’s kindness I will sing forever – L’Dor VaDor O’Deah Emunat’cha B’Fi – I will make your faithfulness known to every generation with my mouth. Ki Amarti, Olam Chesed YiBaneh – For I said, The World is built on kindness. As the world is built on G-d’s kindness, we are obligated to sing G-d’s praises for the kindness he has bestowed upon us. Hence, we sing Shira, our daughter’s name. Leah, our righteous matriarch, merited to give birth to 6 of the 12 tribes herself. She was also the first person in TANACH (the Bible) who publicly said THANKS to G-d, in the naming of her fourth son, Yehuda. Through Ruach HaKodesh (Divine Inspiration) both Rochel and Leah knew that 12 sons were to be born to Yaakov by his 4 wives, and were to serve as the progenitors for Klal Yisroel (the Jewish people). 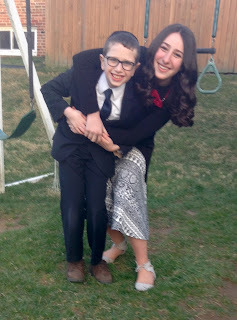 When Leah had her 4th son, she publicly thanked G-d for giving her more than her fair share. As Leah merited so much by her prayers and her actions, we felt it was a fitting name to add to our song, our Shira, as further thanks to G-d.
Shira Leah Graham was born at 6:03 am, Israel time on Shabbat, July 27th 2002, 18th Av 5762, at Bikur Cholim Hospital, Jerusalem, Israel. Note that we moved back to the USA in November 2002. She is, of course, gorgeous. She weighed 2.83 kg at birth, which apparently equals approximately 6.4lb. Shira Leah will be called by both names, i.e. "Shira Leah". I was annoyed that I had to move from Multiply to Blogger but now I see it's much better! The import feature worked like a treat! See latest Rachel photo on the right.